Along with the cooler weather and shorter days, comes that longing for comfort foods. Maybe like your mother used to make, or maybe a dish from one of your favorite restaurants…whatever comfort food means to you, now is the season. Summer gardens are being tilled up, the last of the vegetables are canned, the kids are very settled into their school/sports schedules, and the holidays are on everyone’s minds! We have had one of the most beautiful Fall season’s here in Oregon. Our Fall season is always nice, but this year it has been one of THE BEST in a long time! 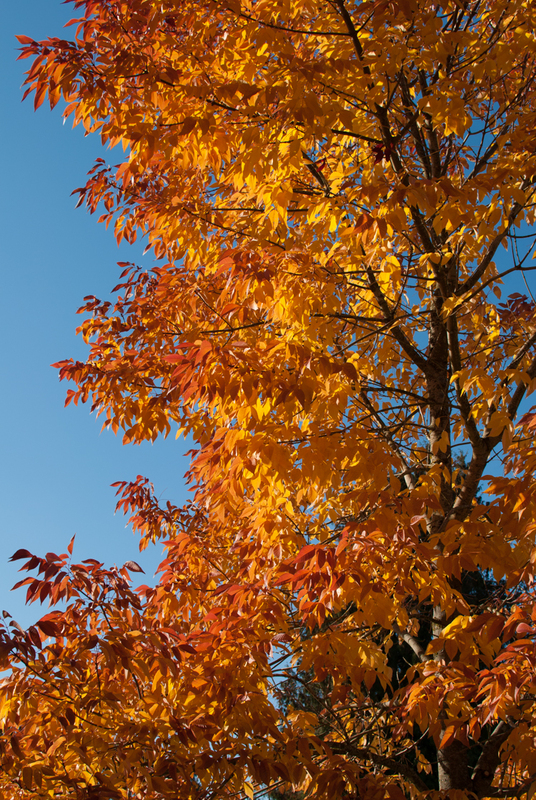 The leaves are bright and vivid, like fireworks on all the trees. The country roads, my usual commute to and from work, are filled with orange and red hues up and down the mountains.It’s like a picture from a postcard! Our riding season has been extended thankfully too! We just rode 96 miles this week on our rode bikes. The days are slowly becoming shorter, and I know the rain is on it’s way. With the seasons changing, so does our cooking! If you’re a PNW native like me, then you know winter is when your mother or grandmother brought out the old crock pot and everything seemed to be served in a bowl! I even saw a sign at the grocery store with a crock pot display saying “Crocktober”! Really?! And not to mention everything on Pinterest lately is crock pot this and that! I’m not a big crock pot fan, but I do enjoy a stew or braised meal from my dutch oven once in awhile. This meatloaf is not like your mother’s! Remembers the meaty blobs that resembled something from a bread pan, a loaf, but tasted rather awful? I think this is why meatloaf has such a bad rap… well this recipe, adopted from the Smitten Kitchen cookbook, its anything but awful! 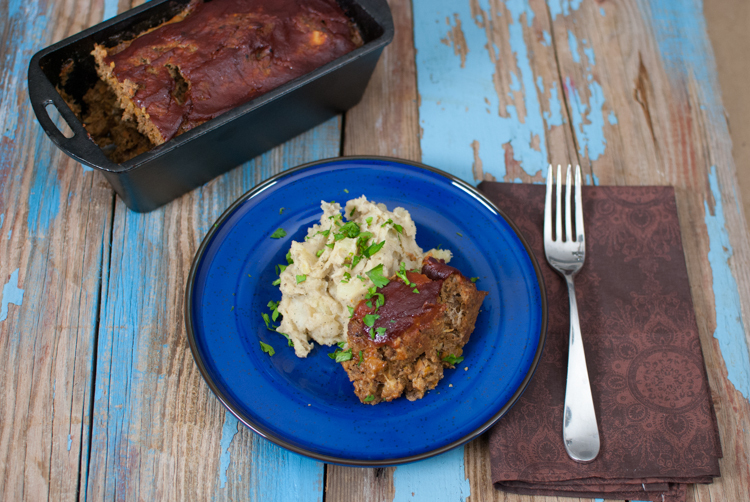 Full of flavor and very moist with a red sauce, it takes meatloaf to whole new level! And, it even has vegetables in the meat. 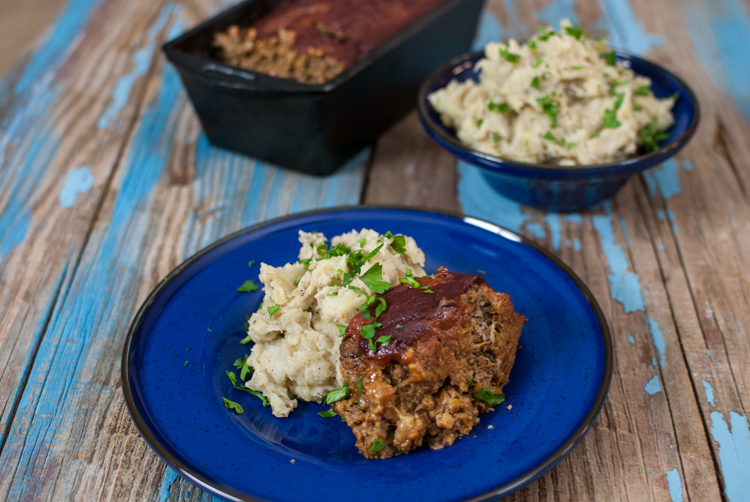 Served up on these amazing browned butter mash potatoes, this is our generation of meatloaf and potatoes:) Look out 1950’s here comes 2013, we have rad meatloaf and flying cars! Have you ever browned butter? It’s insanely good! Butter takes on a nutty, rich flavor when browned right. I’ve used it in brownies and cookies, it really brings out a whole new flavor. Your mashed potatoes will never be the same once you try this! We are even thinking of serving these potatoes at Thanksgiving… ya, they are that good! Cheers to Fall and sweater weather! To make the glaze, combine all the glaze ingredients in a small saucepan and whisk together. Simmer for 2-3 minutes then set aside. To make the meatloaf, put slices of bread into a food processor. Pulse until small crumbs. Put onion, garlic, carrot and celery in the processor, pulse until finely chopped. Heat a large skillet over medium heat, add the oil, then add the finely chopped vegetables and cook until lightly brown, about 10 minutes. Add the vegetables to the bowl with bread crumbs, then add the remaining ingredients. Place meat into a loaf pan and spread glaze over the top. Bake at 350 degrees for roughly 1 hour our until a meat thermometer reads 160-165. Serve with browned butter mash potatoes and extra glaze. Boil potatoes on high until soft. Drain and set aside. While potatoes are cooking, make browned butter. In a small saucepan, cook butter on low heat. The bitter will melt down and soon become brown. Scrape up bits in the pan every so often. Keep cooking on low until very brown. If you want your potatoes peeled, this is when to do so. I prefer my skins on. In a large bowl, put potatoes, browned butter and buttermilk, mash until smooth. Add salt and pepper to taste. Browned butter mashed potatoes??? Heck, yes! Ha Ari…you will never be the same! Anything with browned butter… I am in!